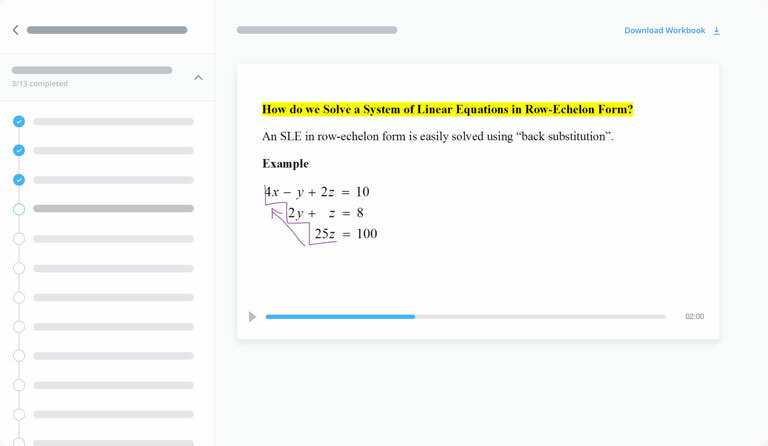 Video-based tutorials and study guides tailored to your course text book or syllabus. Missing something about practicing - we give the ability to practice. This is the new tutorial adjust to the students need. The key to acing any STEM class is getting plenty of practice. Our video tutorials are matched to every topic your course covers. Our videos take you step by step through each solution. Studying with our videos and practice problems empowers you to tackle your toughest subjects with confidence. With 10 years experience and video tutorials on 50,000+ topics — we know it exactly what students need to excel. Pick up a hobby, get outside, sleep in — when you study smart, you'll have more time for you. Our library includes tutorials on a huge selection of textbooks. Each chapter is broken down into concise video explanations to ensure every single concept is understood. Binge a whole series of video tutorials or just pick and choose the parts you need help with. Prepare for the final with our practice problems and video solutions. Master any subject in 3 steps: Watch the video tutorials, solve the practice problems, and then watch the video solutions. Our courses are broken into bite-sized modules — the optimal way to learn according to neuroscience. We don't sacrifice on quality instruction. All our courses are led by top lecturers and academics. "Both the video lectures and practice problems are excellent-they are custom-tailored around the syllabi for these classes." 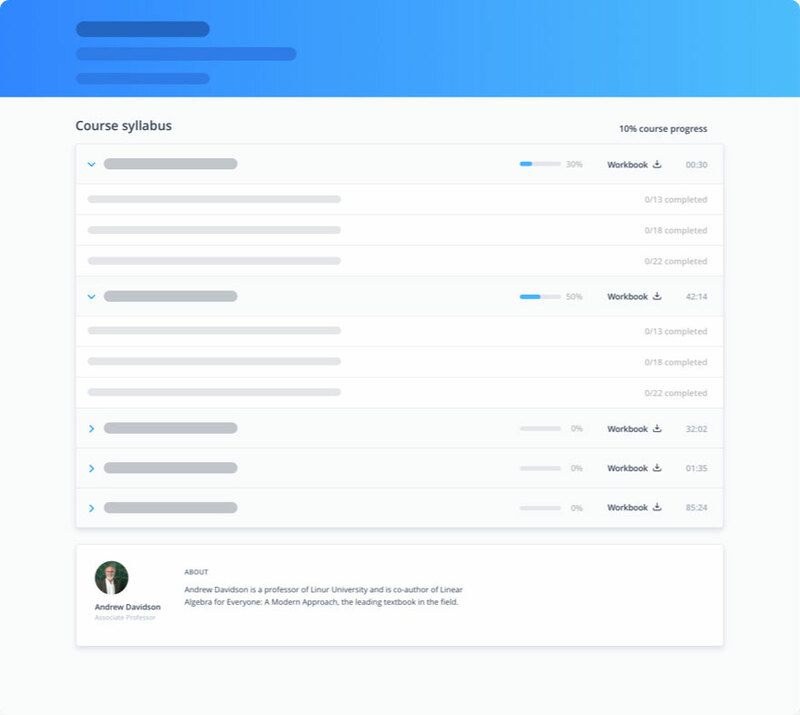 "The personalized videos helped explain what the lecture didn't and the practice problems really helped me study for the exams!" "Amazingly useful study tool. Highly recommended to all university students." "Proprep is a must-have study tool! Totally recommend it to anyone who needs a little extra help outside of class!" "One of the most useful and effective study materials I've ever used.... is easy to navigate and contains a large amount of material and resources." "I love Proprep! ...they really want to help you learn. The courses are explained really well so you know you’re in good hands!" Studying with Proprep means you have the ultimate flexibility to choose your schedule, your speed, and your location. Figure out what works best for you. Oh, and no more panicking because you overslept and missed class. Everything you need to succeed is right here. You pick your school or textbook, we build you a customized study guide.